Behind the three doors of this take-along garage are three rescue vehicles ready to roll into action! 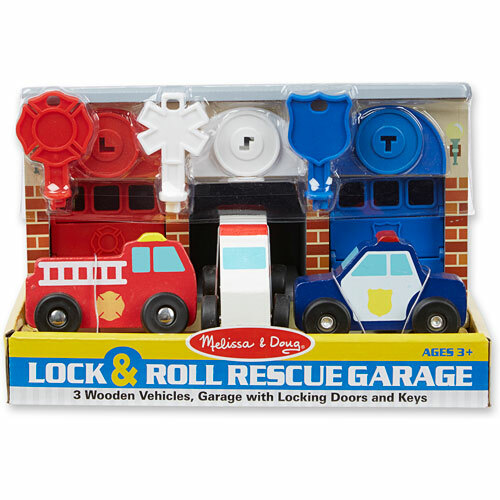 Turn the keys to unlock the doors, lift the tab to open the garage, press the button to release the ramp, wheel the cars across the floor... . Then store the pieces away and carry off the whole set by its sturdy handle. The real heroes of this story? 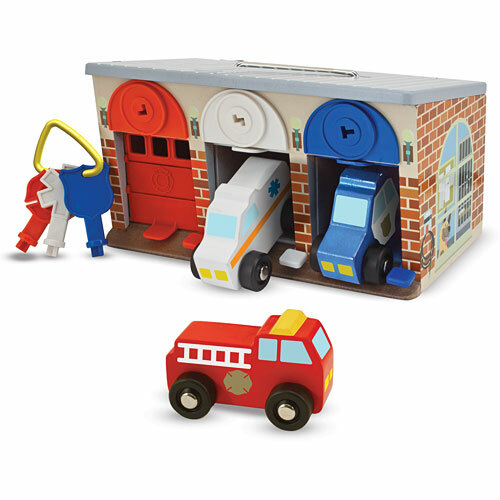 The dynamic duo of motor-skills practice and imaginative play! Measures approximately: 6.25 x 7.75 x 10.00 inches..